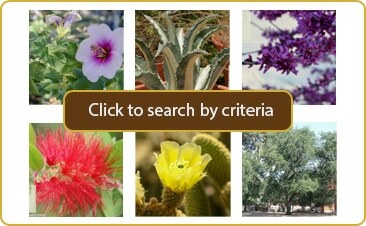 Here in Arizona, grapes aren’t planted only for their tasty fruit! 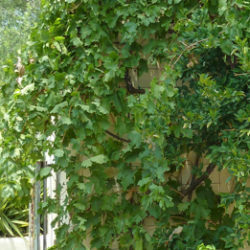 When given the support of an arbor, fence, or trellis, this fast growing, deciduous vine gives filtered shade through the summer while allowing extra light and warmth during winter. 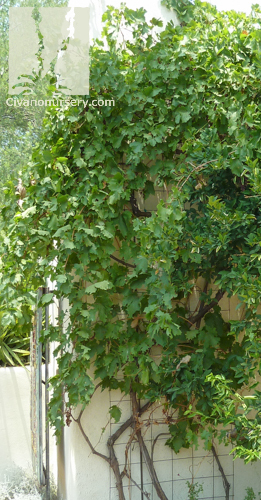 Its broad leaves soak up our high heat and bright sunlight with no complaints, softening large spaces by adding a deep green, coarse texture to the landscape. 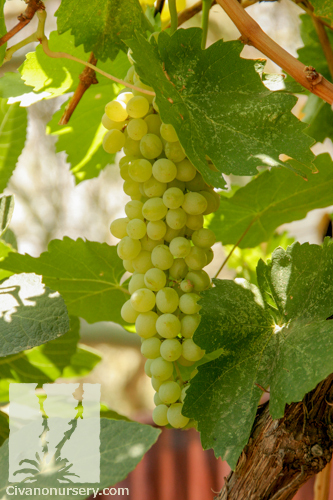 As a fruit crop, Thompson seedless is the most widely planted grape in Arizona and California because this self-fruitful variety is delicious and versatile. 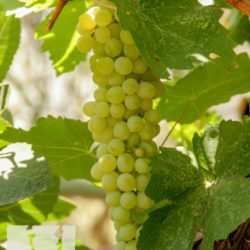 Its thin-skinned, seedless berries are pale green and very sweet, and can be eaten fresh from the vine, dried into raisins, or pressed to make wines and juices. Fruit will set with only 100 chill hours, and needs summer heat to ripen, which makes this variety perfect for our climate.